The event, drawing a crowd of about 70,000 spectators, lining the sidewalks and lawns to watch, over 4,000 participants commemorate National Police Week. This event is one of only a handful of parades of this type around the country outside of Washington D.C. 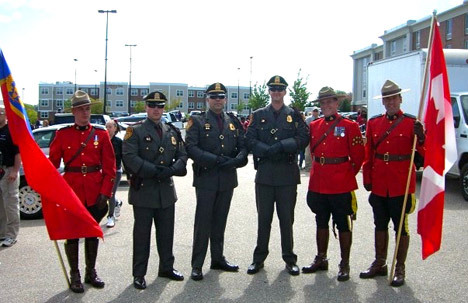 This multi division parade includes 180 units representing over 50 police departments from as far away as Illinois as well as contingents from the Canadian Royal Mounted Police and the elite US Marine Corp 8th & I Marching Unit from Washington D.C. assigned to the President of the United States. Representatives from the C.O.P.S. organization (Concerns Of Police Survivors) always participate in the parade and are honored for their dedication and sacrifice. Every year approximately 120 officers die in the line of duty. In 2009 120 Officers died in the line of duty. Please help us thank them and their families for giving ultimate sacrifice.